A weekly podcast recorded in Adelaide that puts South Australian passion on centre stage with a featured guest who joins us each week as a co-presenter to share how they're pursuing their passions. We venture across topics as diverse as history, wine, food, art, music, relationships, critical thinking, health, news, interviews, chat and quizzes. Every single interview, every single show, unlocks insights into what drives people to be doing what they're doing and what keeps them striving. 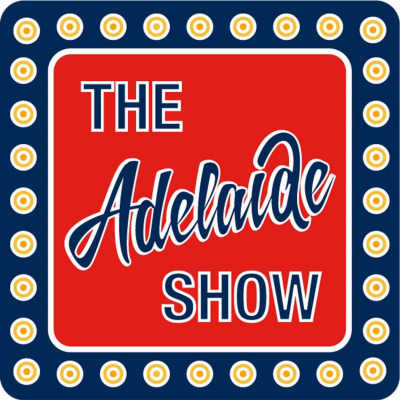 The Adelaide Show is produced by Steve Davis and Nigel Dobson-Keeffe. Please subscribe to our In Crowd list; you get an email each Friday (when we have published a new episode) with an overview of that week's show. Plus, consider joining our Inner Circle; a small group of passionate South Aussies who allow us to pick their brains and gain interviewee suggestions. This podcast began life as Another Boring Thursday Night In Adelaide from episodes 1-79.